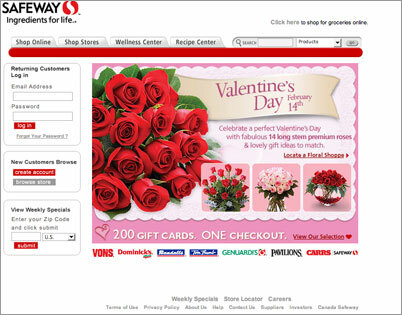 designed and maintained safeway's corporate web site along with it's other 7 divisions. every week, a new home page feature would be created based on the week's specials, promos, etc. designed other areas of the site including promos, deli, pharmacy, careers, and other corporate areas.